Recover Deleted CCTV Video Recording from Hard Drive, SD Card, Pen Drive etc. recordings from CCTV/DVR hard drive. CCTV Cameras are commonly used everywhere for security and prevention of crime. CCTV video or images are automatically saved in hard drives, SSD, and other storage media devices. If CCTV video/footage is deleted or damaged then, don’t panic! Because these videos or images can be recovered by restoring backup, recovery software or recovery services. There are CCTV video recovery methods available for recovering deleted CCTV Video or footage from any kind of DVR. Let’s look at each. DVR hard disk data recovery is a task that requires technical expertise because any mistake can cause the video footage to be deleted forever beyond the scope of recovery. If your footage or video is not accessible then, you should go for Professional data Recovery services. This will also help you in recovering deleted CCTV/DVR video from physically damaged devices or from any kind of data loss situations. 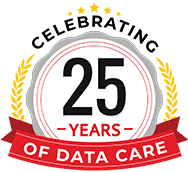 With more than two decades in data recovery, we promise to provide quality and time-bound CCTV/DVR Video recovery service. CCTV/DVR data recovery service cost can be estimated only after proper analysis of DVR storage Drive. What type of damage your CCTV/DVR footage has suffered? CCTV/DVR storage drive’s data storage capacity and condition. If there is no backup, then you can use Stellar Data Recovery Software. This software is also designed to recover lost or deleted video files from CCTV or DVR Hard Drives, etc. It is very powerful and recovers videos and photos irrespective of the reason for the loss. It also supports footage recorded from Hikvision, CP Plus, Bosch, Dahua, and Sony etc. Stellar Data Recovery Software offers photo and footage recovery solutions from all types of storage media devices. Additionally, the premium version software also helps to repair the videos and Jpeg files. Trust the Stellar Data Recovery Software and utilize its powerful features to recover your digital photos. The software has an easy to use graphical user interface. It allows the user to save scanned information, along with an option to resume the recovery. This is one of the most advanced data recovery tool available to recover your deleted CCTV/DVR data. 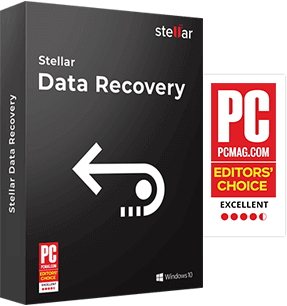 Stellar Data Recovery software is available for Windows & Mac operating system. If the drive storing your CCTV/DVR video is damaged due to water, don’t dry it out. Instead, reach nearby Stellar Data Recovery center. The data gets deleted as the drive dries out. When you can hear clicking sounds from the DVR storage hard drive, stop using it as this can be a sign of physical damage. This damage requires professional assistance. There is a chance that your CCTV/DVR has failed, do not try to repair the damage on your own. This can cause data loss which can be even permanent in nature. If fire has damaged your CCTV/DVR, then it is not possible to use the DIY methods for data recovery. In fact, tampering with the drive can cause everlasting damage. Can I recover videos from a CCTV DVR whose hard drive is damaged? Yes, you can recover videos from the CCTV DVR whose hard drive is damaged. The reason being, hard drive of CCTV is same as hard drive of computer systems whose recovery is possible. Depending on the type of damage caused to the hard drive of CCTV, solutions should be obtained accordingly. You can try any recommended software to recover videos from CCTV whose hard drive is logically damaged, whereas to recover videos from physically damaged CCTV hard drive you will have to go for recovery service from professionals. Can I recover videos from the CCTV that has been damaged due to lightning? Yes, you can recover videos from the CCTV device that has been damaged due to lightning. Due to lightning, the hard drive of the CCTV DVR may get burned leading to physical damage of its hard drive. However, professionals have the expertise to recover CCTV footage from physically damaged hard drive as well. Can a deleted video be recovered from CCTV DVR? Yes, a deleted video can be recovered from the CCTV DVR security device. CCTV DVR uses a hard drive to store data. So, even if any video is deleted it does not get erased permanently and the video data still remains on the hard drive unless overwritten. In such a case you can either use any software or take help of professionals to get back the deleted video. Can CCTV footage be recovered from a CCTV DVR whose hard drive has been formatted? Yes, CCTV footage can be recovered from a CCTV DVR whose hard drive has been formatted. However, it will require you to use a very strong software, or service from technicians having the requisite skills. Can a CCTV footage that has been affected by malicious code be recovered? 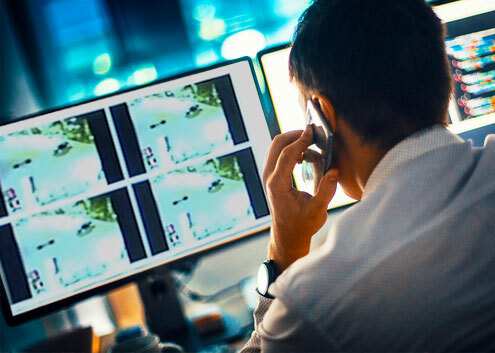 Yes, a CCTV footage that has been affected by malicious code can be recovered completely. Attacks by malicious codes bring logical damage to the CCTV hard drive that can be repaired either by using any proven software or with the assistance of professionals having the requisite experience.